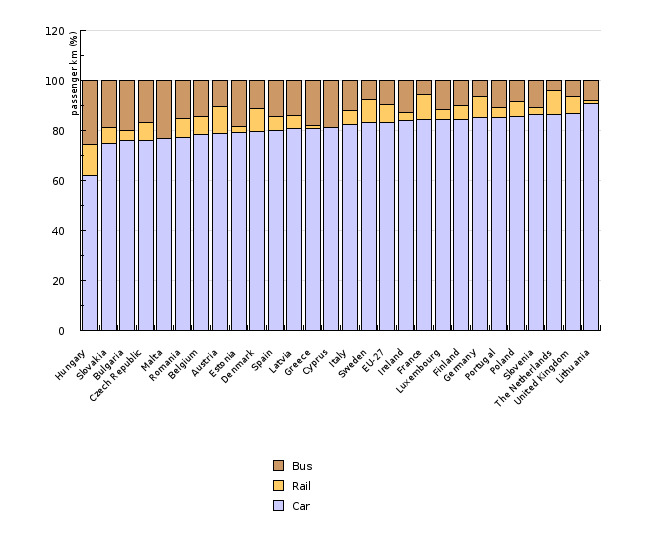 In Slovenia the volume of passenger transport has been increasing for several decades, primarily due to growth of the most unsustainable modes - automobile and air transport after 2002. The growth stopped with the economic recession in 2008, with a slight decrease after 2010. 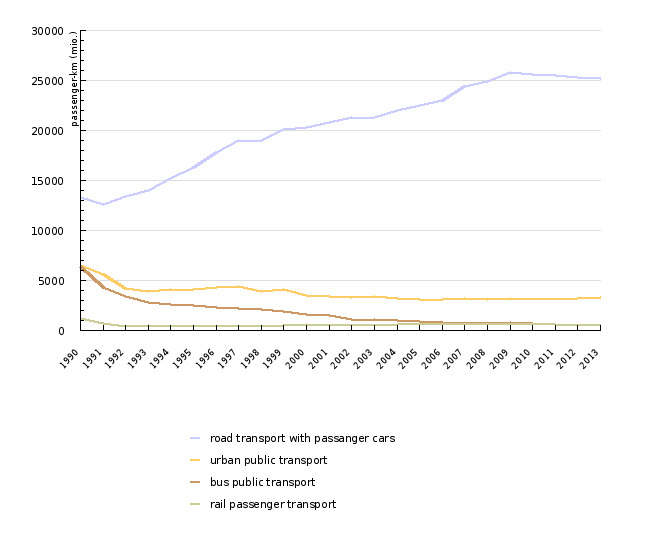 In opposite the scope of public transport modes is being in decline for decades, especially the proportion of bus services. 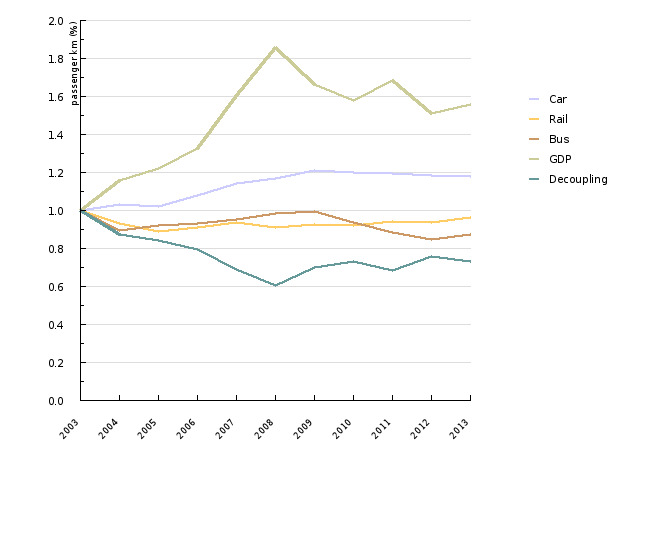 In the last decade the proportion of public transport has stabilized, though on much lower level then it was before 1991 when Slovenia became independent.